The book, South Africa at Liberty, is Yasser Booley’s new photobook showcasing photographs taken over 22 years. The collection is a window of the world through Booley’s lens. The book features text contributions from renowned photographer Pieter Hugo, curator Ingrid Masondo and art historian Tambudzai La Verne Ndlovu. The UNESCO General History of Africa reflects how the different peoples of Africa view their civilizations and shows the historical relationships between the various parts of the continent. 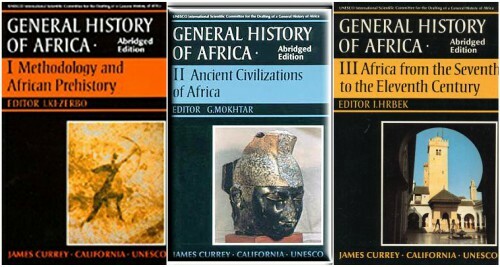 Historical connections with other continents demonstrate Africa’s contribution to the development of human civilization. Each volume is lavishly illustrated and contains a comprehensive bibliography. In this book you will see over 50 photos of memorable moments of the sporting Madiba, as well as sport stars paying tribute to Madiba after his death. Brought fully up-to-date, with new trails included and all booking information revised, this fourth edition of Hiking Trails of South Africa is the essential guide for every hiker. Written by well-known author Willie Olivier, this comprehensive guide describes more than 500 trails, offering something for everyone – from the casual ambler to the experienced hiker. The book writes about the political economy of Africa and tackles breakdown of values in communities, politics and other social movements. Taking lessons from the patience and dedication of a weaver finch, the book is an invitation to the reader to reweave the fractured soul of the nation. Vaya: Untold Stories Of Johannesburg – The People And Stories That Inspired The Award-Winning Film by Harriet Perlman, et al. Film tie-in book with Akin Omotoso’s latest film Vaya, national release 27 October 2017. Through personal stories that are intimate and hard hitting, Vaya will both surprise and shock you. It offers a rare lens into life in Johannesburg and amplifies the voices of people who live on the city’s margins. Poetry Potion was founded in 2007 as a free platform for poets to publish their poetry and for poetry lovers to discover new poetry. This online poetry journal features poet profiles of known and established poets, Q&As with up and coming poets, reviews, video, podcasts as lots of poetry. Poets come from South Africa, Nigeria, Zimbabwe, Kenya, Uganda, Ireland, the USA and many other countries. This entry was posted in Featured and tagged coffee table, cookbook, hiking, nature, photography, Poetry.